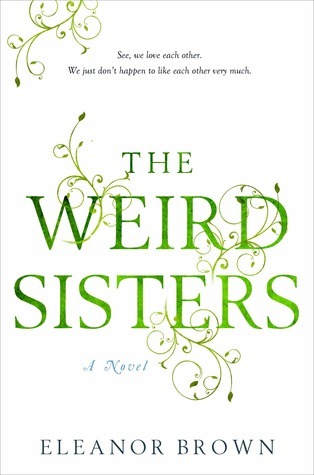 Goodreads: The three Andreas sisters grew up in the cloistered household dominated by their Shakespearan professor father, a prominent, eccentric academic whose reverence for the Bard left its imprint on his dauthers' names: Rosalind (As You Like It), Bianca (The Taming of the Shrew), and Cordelia (King Lear). The siblings eventually left home and escaped their ponderous monikers with nicknames, but their mother's medical maladies brings them back. Before long, their unwelcome reunion reveals that they all have problems: Rose is force-feeding a troubled relationship; Bean is entangled in a big city case of embezzlement; and unmarried Cordy is pregnant. Kritters Thoughts: A book with a lot of recent hype, which always makes me a little nervous because I want the book to really earn the hype that it receives. So onward to the review - purely wonderful read. I hate to say that I had a hard time finding a chunk of time to read it, but page by page I fell in love with this read. A story of three sisters that come home to regroup and get their lives on different tracks. Close to home, this story made me think about my return to "home" or where my parents currently live, with my boyfriend to take jobs and regroup. My little sister also came back to where my parents live to regroup and take her life down a different path. Fortunately, our own issues brought us close to our parents, unlike the book where the girls use their mother's illness as the reason to return home. My one small minor issue that I was able to overcome was the frequency of quotes from Shakespeare. Not being a Shakespeare fan, I probably would have gotten into the read quicker because I felt as though there were quite a few more at the beginning in comparison to the end. They did fit in the story, so if you knew the story line, it was easy to interpret the quotes. I quickly became attached to each of the three sisters in very different ways. Their story arcs were unique, but interconnected and the flashbacks to previous years helped guide the story along. The book centered around the three girls, but the parents and other minor characters were very much a part of bringing this story to life. I am physically passing this book onto mom and would recommend those who have a sister or two to pick this one up. I'm reading this book right now, and I have to agree that it is a purely wonderful read! I'm not getting a huge amount of time to read it either.